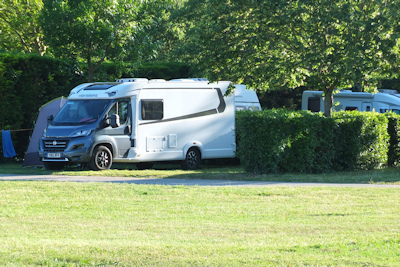 This year we decided to stay just in France travelling into Normandy then across to the Île de Ré then to the Pyrenees before heading back through the centre to the Loire and Seine. 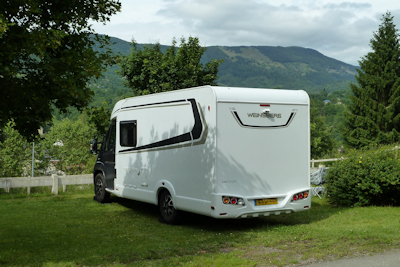 Site fees were for our 6.7 metre motorhome and two people from May to July. Please check with sites for latest fees and opening times. Most campsites are signposted from the town. 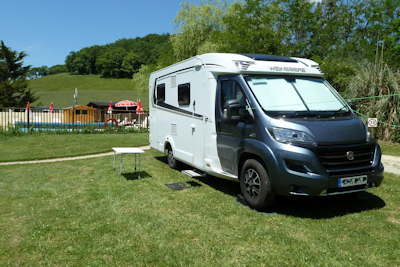 Grass pitches with some shade; good facilities, bar and restaurant; some static vans. British owners; small swimming pool. Near lake and 1.5km from town centre with Jazz festival in August - booking essential. 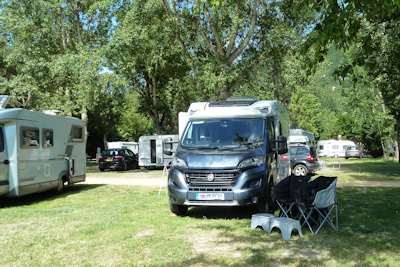 1/4 to 6/10 Very busy campsite with hedged areas and flat grass pitches. Good facilities; pool, bar and restaurant. About 2km walk along river to walled city. New extended aire adjacent. Small busycampsite level grass shady pitches alongside River Tarn. Good facilities. Pool and bar; some statics. About 1.5km from town centre. 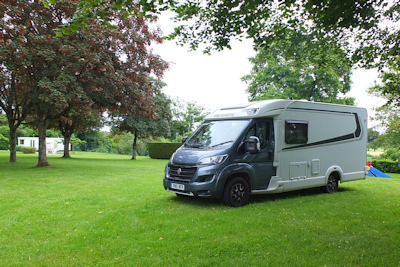 15/5 to 15/9 Small campsite with grass pitches and some shade. Basic facilities. In artists' village near confluence of Creuse rivers. 01/3 to 31/10 sorry no photo Small campsite with some shaded and grass pitches, fair facilities, some statics. On ouskirts of Vernon, useful for visiting Giverny.